Antique 18thc Brass Candle Snuffer & Holder. English. C1720-30. 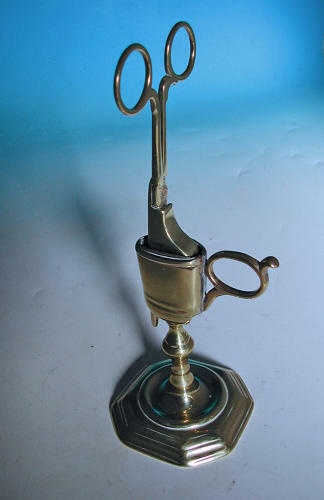 A fine example of an 18thc brass upright candle snuffer and stand, these were introduced during the Restoration period in England...this one dates from the early 18thc when snuffers were made to go with the same sets of candlesticks of the same base design...seamed construction to the holder, both in excellent condition.